Our totally non-traditional wedding invitations! Woot-toot (just uploaded them to this awesome website I discovered by other creative brides: www.catprint.com. 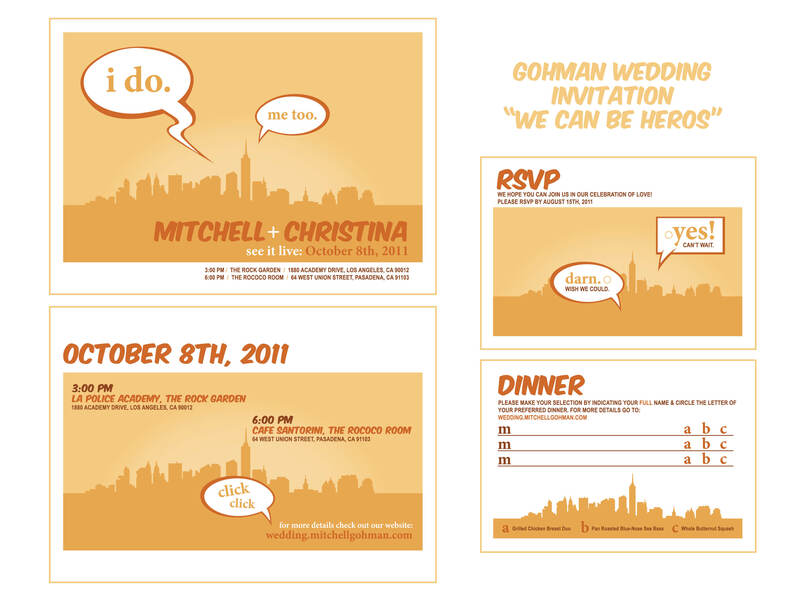 I was inspired by 2 things, our website (we are Supers) and an invite that was deeply hidden within the Internet! Mitch has worked so hard to put the design I created together. He is my total fantasy nerd dream guy! Through all the wedding planning so far it is proven that, we are truly a team. We cannot wait for our big day. I think I found the bridesmaid dresses. I had an adventure at Ikea today to get our table label frames. Tomorrow I will work on the design and more posts about the development to come. For now we are enjoying the process of our union planning. Horah for love! 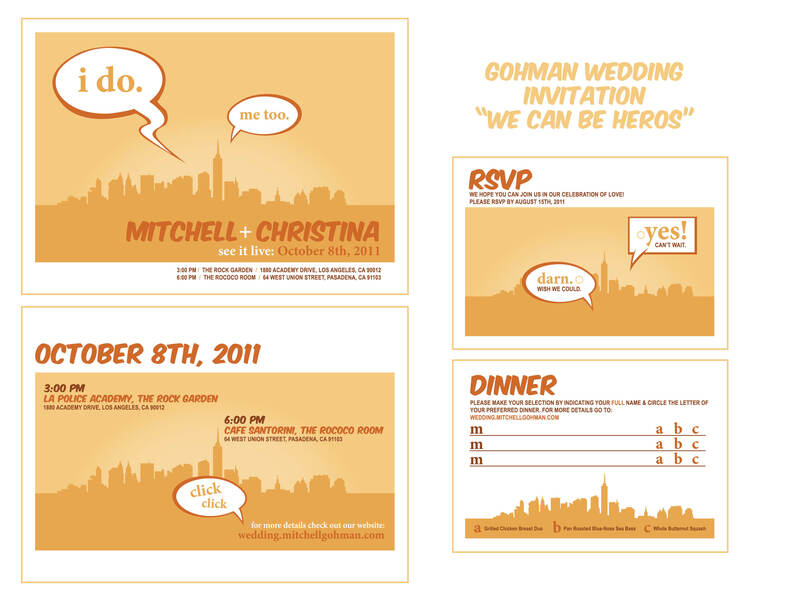 3 Responses to Wedding Invites. Yay! I heart this! Wow! awesome work! Thanks May! It has been so fun. Mitch is going to update the look of the comment area too. It’s a little too HTML for me! Comments updated. Speech Bubbles seems to be a re-occurring theme here.